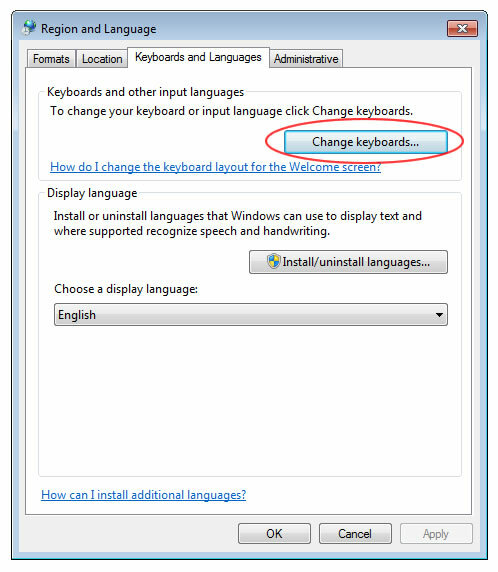 This page is for anyone who needs the Pinyin input method to type Chinese characters into Western versions of Windows Vista or Windows 7. In Vista, scroll down to "Chinese (PRC)". 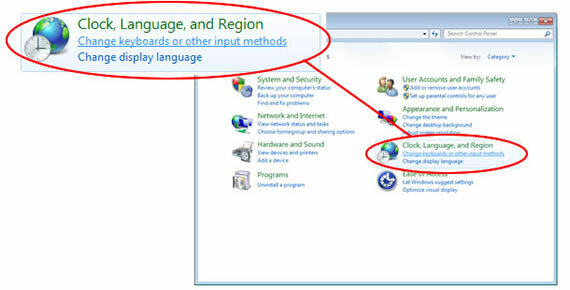 In Windows 7, this says "Chinese (Simplified, PRC)". Click on the plus signs there and at "Keyboard". 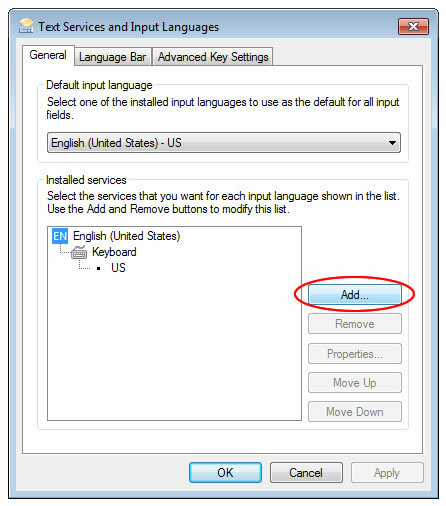 In Vista, click the checkbox next to "Chinese (Simplified) - Microsoft Pinyin IME". 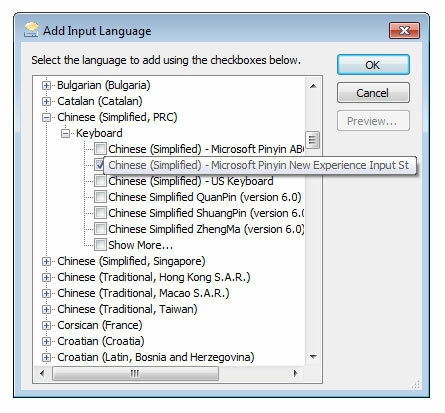 In Windows 7, it's called "Chinese (Simplified) - Microsoft Pinyin New Experience Input". You may also select other input methods if you are familiar with them. Done! MSPY is now ready to use for Simplified character input. Later we'll come back to this same place and look under "Chinese (Traditional, Taiwan)" when we install Hanyu Pinyin for Traditional Chinese and Zhuyin Fuhao for Traditional Chinese. You will now find the Language Bar at the lower-right of your screen, in the Taskbar.